With Jumbo Stainless Steel Cup Holders and Aluminum Trim. Made with your choice of a wood finish or a high-grade formica. 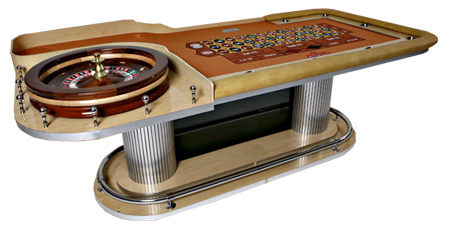 This table is available in your choice of 8 or 9 ft. lengths and can accommodate a 27" to 32" roulette wheel (sold separately).